Commercial truck accidents occur every day on Illinois roadways. Often, these crashes result in serious, lifelong consequences for the passengers in the smaller vehicles. Our legal team works hard to make sure those truck accident victims do not have to suffer those repercussions alone. At the Shannon Law Group, we fight to protect the future of victims and their families with the compensation they need and deserve. 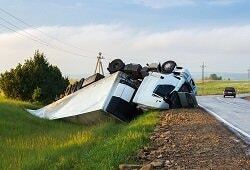 After a truck accident, victims can face a long and difficult road to recovery. Commercial vehicle accidents can be severe, and they require both tenacity and technical knowledge to pursue. Our experienced truck accident lawyers are here to protect your rights and obtain the compensation you deserve. Often, accident victims have many worries. They continue to miss work as medical bills pile up and insurance companies call. They are worried about the future and their families, all while trying to begin the arduous physical and emotional recovery process. For truck accident victims in Illinois, our attorneys at Shannon Law Group, PC are here to ease that burden. Our record of success includes many satisfied clients and the largest verdict in recent Will County history, which is located southwest of Chicago. We know how to get results for you. Call us today to schedule a free consultation at 312-578-9501. When you and your loved ones take the recommended steps toward protecting your health by getting vaccinated, you should have confidence that no harm will come to you. 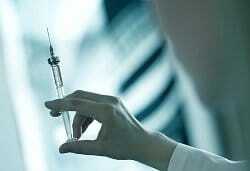 Unfortunately, every year, people suffer serious and negative reactions after receiving vaccines. There can be significant and lifelong repercussions from these injections, such as lasting shoulder pain, paralysis, or death. While these reactions are uncommon, they do occur, so the federal government created a compensation program to help victims obtain the care and compensation they need to recover and rebuild their lives. For vaccine injury victims across the United States, our experienced attorneys at Shannon Law Group, P.C., are here for you. Our tenacious legal team can help you and your family understand your rights and obtain the information you need to file a successful claim. Call our office today at 312-578-9501 or toll-free at 886-881-9980 to learn more about how we may be able to help and schedule a free, no-obligation consultation. For years, employers, companies, and landlords knowingly exposed employees and tenants to asbestos, a mineral dangerous to human health. For many, that asbestos exposure caused them to have mesothelioma, a rare and aggressive form of cancer that develops in the lungs, abdomen, and heart. Mesothelioma has no known cure, and the diagnosis is both scary and serious. Asbestos-exposed victims who suffer from mesothelioma face difficult and invasive treatment. While they fight for their lives, they shouldn’t have to deal with complicated and frustrating legal battles to secure the medical treatment and financial security they deserve. In Chicago, IL, and the greater Chicagoland area, our experienced attorneys at Shannon Law Group, P.C., represent those who suffer from mesothelioma to help them hold those responsible accountable and to obtain the vital compensation victims and their families need. If you or someone you love has been diagnosed with mesothelioma, call our office today at 312-578-9501 to speak to a member of our legal team and learn more about your rights. Mesothelioma victims living near these cities should contact us today for a free consultation: Naperville, Woodridge, Lisle, Bolingbrook, Aurora, Joliet, Rockford, Springfield, Peoria, Wheaton, Arlington Heights, Elgin, Berwyn, Cicero, Des Plaines, Evanston, Mount Prospect, Oak Lawn, Palatine, Orland Park, Schaumburg, Skokie, Champaign-Urbana, and Tinley Park.